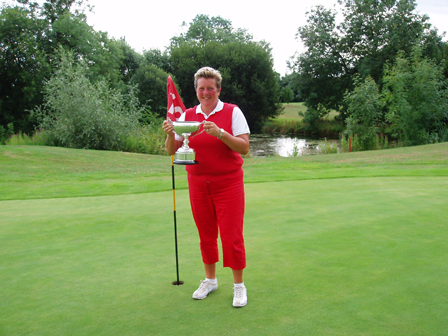 Pictured with her trophy is the newly-crowned Champion of the 2009 English Ladies’ International Seniors Open in Cambridge, Christine Langford, pioneer of Golf 4 Women at Desert Springs in Spain. Christine Langford, ladies golf co-ordinator and Golf Academy director at Desert Springs – Europe’s only international award-winning luxury family resort and championship desert golf course in the Almeria region of south-east Spain – has been crowned Champion of the 2009 English Ladies’ International Seniors Open in Cambridge. After leading going into the final, she held off the challenge of her long-term rival, and 15 time winner on the ladies tour, Cathy Panton-Lewis, to win the tournament by four shots. PGA coach Christine, whose professional golf career spans 30 years, spends most of the year hosting events and golf schools at Desert Springs but also teaches at Bowood Golf and Country Club in Wiltshire. Two of her star pupils – Angie Bell and Daphne Lewis of Chippenham – were among other prize-winners at the Cambridge event. So was Desert Springs member and past club captain Helen Lavis. The four players together won the County Team prize representing Wiltshire. During the past 20 years, Christine has successfully pioneered a host of activities and events planned to encourage more women to take up golf. She has launched a series of specially packaged tuition and competitive events and holidays under the Golf 4 Women banner, attracting growing numbers of all-girl groups to visit for a week’s golf or learn to play for the first time. Some go to compete in major tournaments for lady golfers. 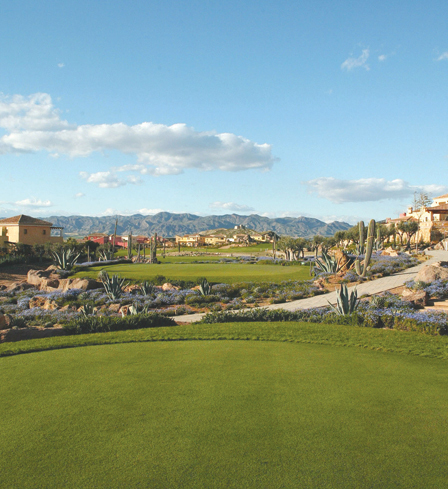 Simon Coaker, director of golf at Desert Springs, says that the resort’s pioneering Golf 4 Women programme makes it unique in golfing circles.